A parent coach provides two exciting activities to help encourage self-love. Autism and ADHD: Do You Know How To Help With Co-occurring Conditions? Learn both the differences and similarities between autism and ADHD as well as top strategies for helping a student succeed with comorbid conditions. A personal look at life with autism for families moving through the highs and lows of ASD. Learn top advice from a board-certified behavior analyst on how to make an educated decision when selecting therapies for your child. A Shiatsu and acupuncture practitioner describes how Shiatsu treatment provided his patient relief from her head-banging behavior. An expert explains how applied behavior analysis can be used within typical family routines to improve quality of life. Read this terrific advice on ways to conquer life and become your best self by understanding an autism diagnosis. A special education teacher educator dispels common myths about children with autism to build a better understanding. A mother shares how she found a new way to help her young son better connect with the world around him. Meet two mothers who created their own line of blankets and wearables inspired by the special needs of their adoptive daughters. A woman who grew up with a special needs sibling provides first-rate guidance on better understanding the roles of siblings. Learn about a new home therapy that aims to help improve sensory processing, attention span, eye contact, speech, and social skills. Innovative ways are suggested to help parents and educators to remove some of the bonds of structure while allowing for creativity and critical thinking for children with autism. Learn details on the possible US government benefits that you and your child could be eligible to receive. The mother of a high-functioning ASD child who struggles to make friends shares the disturbing experience when her child befriends a potentially dangerous child. Five important factors a mother of a young man with autism has learned through his multiple therapies over the years. Read an inspirational interview with the mother of a teen with autism who created the successful DC Peers program to encourage social skills. Introducing a lighter weight, foldable tricycle made by Nuvotrike which offers people of many ability levels the opportunity to ride a bike. Meet Kyleigh, a remarkable young woman diagnosed with autism, developmental delays, cerebral palsy, and seizure disorders who dreams of becoming a model. A writer and college student with Asperger’s syndrome shares 10 points to keep in mind when falling in love with an Aspie. Meet Rupert Isaacson who developed amazing programs that provide long-term kinetic learning and brain training by doing movement-based activities that act on the learning receptors of the brain. Read a special interview with a medical esthetician, successful business owner, and mother of two boys, one of whom has autism. What’s New On The Bookshelf? This inspiring fine art photo essay book by Dr. Richard Ehrlich and Dr. Barbara Firestone centers on children with autism paired with reflections from parents and even young people themselves. This compassionate book by Ali Beasley shares the highs and lows of living with a child with autism in words that are frank, touching, and ultimately hopeful. Ryan F. Platt breaks down the various types of special needs trusts for families who want to accommodate their long-term needs. A quick online investigation recently revealed more than 800,000 Internet searches were made last month on one word—autism. There is an overwhelming amount of information regarding autism online, from scientific research and awareness sites to published books and blogs. It isn’t always easy, in spite of all these resources, to immediately find the answers you need when someone you love has been diagnosed with autism spectrum disorder (ASD). While the word “autism” is often defined as a neurodevelopmental disorder defined by characteristic patterns of behavior and difficulties with social communication and interaction, the term “spectrum” indicates a wide range of symptoms, skills, and abilities. One of the most important points to remember when searching for autism guidance is no two people with autism are alike. That’s why it’s equally imperative to spend time researching autism AND evaluating your child’s individual needs. Introducing new approaches to helping people with autism is a priority here at Autism Parenting Magazine, so we reached out to experts for guidance on a topic central to many families: finding sensory solutions. We do know children diagnosed with ASD typically have a harder time processing information through the senses. While some children may be under-sensitive to touch, sound, or taste, others can be hypersensitive to it. For example, one child with ASD may seek more sensation, such as constant movement, pressure, or loud noises, while another child with ASD may be overstimulated by the scratchy feel of a sweater, cover the ears when confronted by a loud sound, and have an aversion to certain foods. Some children exhibit a combination of these contrasting characteristics—nothing is cut and dry with autism. Claudie Pomares, the creator of Sensory Enrichment Therapy (SET) and an executive at Mendability, shared her approach to improved brain function. SET can be effective in helping children with autism regulate their sensory-seeking and sensory-avoiding behaviors. Take a look at Claudie’s piece, Sensory Enrichment Therapy: A New Approach, as she describes ways to improve attention span, eye contact, speech, social skills, and many other challenges associated with autism. We have a fascinating testimonial to share this month from Tal Badehi, a Shiatsu and acupuncture practitioner based in London who works with people with autism. Take a look at his article, Calming Self-Injurious Behavior with a Simple Touch, to learn how Tal has helped comfort a young woman with damaging head-banging behavior through therapeutic touch. His words are inspirational. Does your child with ASD benefit from deep pressure stimulation? We want you to meet two moms, Marna Pacheco and Susan Hickok, who created a line of blankets and wearables to provide positive deep pressure touch stimulation. The products provide just the right amount of pressure to prompt the brain to release serotonin, dopamine, and endorphins, relieving anxiety and creating peace. Their devotion to helping their children find a sense of peace is touching. In addition to information on sensory solutions this month, we have several articles that focus on other potentially valuable therapies. 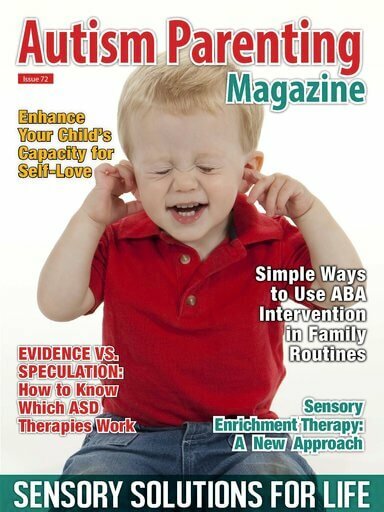 Meme Hieneman, a consultant with Positive Behavior Support (PBS) Applications, has provided an article called Simple Ways to Use ABA Intervention in Family Routines, which focuses on ways applied behavior analysis can be used within typical family routines to improve quality of life for all. Do you need fresh ways to help a child with autism work on fine and gross motor skills? Maria Rohan, a registered nurse who has dedicated her life to working with children with special needs, has provided resourceful ways to allow for creativity and critical thinking while removing some of the bonds of structure. Take a look at Maria’s piece, Enhancing Fine and Gross Motor Skills with Creative Activities, as she describes several enjoyable lessons you can do at home with your child. With so many therapies available for children with autism, how do you know which one is best for your child? Board-Certified Behavior Analyst Stephanie Bates said when you search online for the words “autism therapy for children,” more than 90 million results pop up. Where do you begin to look? Please take a look at her piece, Evidence vs. Speculation: How to Know Which ASD Therapies Work, as she thoughtfully explains how to make an educated decision when selecting therapies for your child. As your child develops and grows, have you thought about how he/she views himself or herself? Many people struggle with self-love, but when children perceive they are imperfect, it can be very difficult to accept and love themselves. In honor of Valentine’s Day, Connie Hammer has prepared an article for us called Top Strategies to Enhance Your Child’s Capacity for Self-Love. Please take a look at her piece as it can assist parents in helping a child discover how he/she feels about himself or herself physically, mentally, emotionally, and spiritually. We also have thoughtful advice from Alan D.D., a writer and college student with Asperger’s syndrome. Check out his piece, Aspie Dating: 10 Things to Keep in Mind When Looking for Love, as he shares 10 points to keep in mind when falling in love. 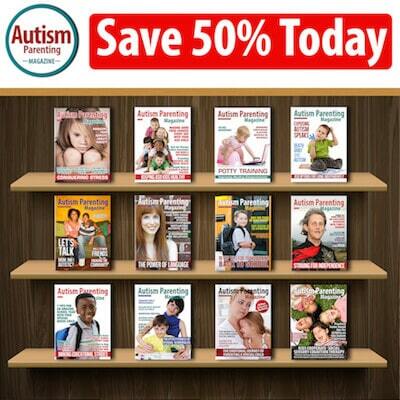 Wishing you love and support as you explore the latest guidance on autism.